Beautiful yet sparse language, both rhythmic and rhyming tells the story of how spots on the outside of some animals helps to protect them. In the area of creative nonfiction, this book is an excellent example. First grade readers will enjoy hearing or reading this book repeatedly because of the musical quality of the poetry like text. The font is large and dark making it stand out from the beautiful illustrations. Her choice of words also helps hint at additional attributes, such as the “gliding snail”, and the “clinging frogs”. Well-designed back matter increases the ability for this book to fulfill common core standards in science, for animal study, camouflage, biology and how animals adapt to the environment. 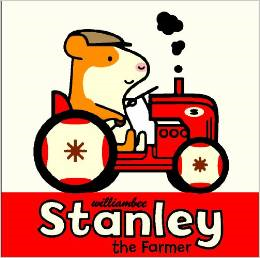 Librarians and teachers will also use the book for literacy skills such as rhyming and use of descriptive language. 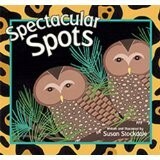 Children will be on the look-out for animals with spots after reading this book and when they find them, it won’t be any mystery why those spots are so important. It’s got nothing to do with fashion! Extras: In the back are two pages with small squares showing each of the patterned spots for children to enjoy matching with the appropriate animal in the front of the book. There are also two pages that show mini-pictures of each animal accompanied by an explanation of how the spots protect those animals. The particular class that each animals belongs to and where to find it in the world are provided. Cowgirl Rodeo Red and her trusty sidekick Rusty (aka a stuffed dog) were perfectly happy until Sideswiping Slim (aka her new baby brother) came to town. Rodeo Red knew he was trouble the first time she laid eyes on him, but the Sheriff and Deputy (aka her parents) seemed to love the little varmint. As Slim grows he becomes more of a nuisance and begins to encroach on Red’s territory. When Rusty goes missing, Red knows there can be only one culprit. She tries to grab Rusty out of Slim’s clutches, but his loud cries get her into trouble. “Wouldn’t you know Slim would have the law on his side?” she thinks as she lands in the holding cell (aka the Time Out chair). When Red’s city slicker aunt sends her a new fluffy stuffed animal for her birthday, she comes up with an idea to settle the score. She gives Slim the new toy and gets Rusty back in exchange. 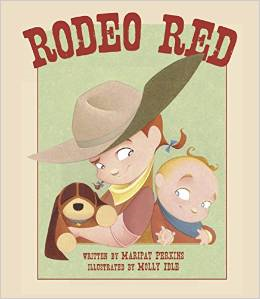 Parents and teachers, get ready to drum up a serious twang when reading this story aloud, which is chock full of entertaining similes and old west slang (“He looked as slippery as a snake’s belly in a mudslide.”) The soft pastel illustrations have a sweet, old-fashioned quality to them and are cleverly drawn to create a young cowgirl’s fantasy world. First grade readers can learn from Red’s example of coming up with a solution to a problem on her own. Children will love Otto’s great big eyes as he looks straight at them from his perch on the crescent moon. Otto doesn’t like to roost in trees or hunt at night like the other owls. So the others all make fun of him. He likes to read books, make friends and recite poetry. What Otto, and eventually the other owls, learn is that poetry is to be shared aloud with others to be best enjoyed. First grade readers being introduced to poetry will enjoy hearing this read aloud and becoming able to read it themselves. 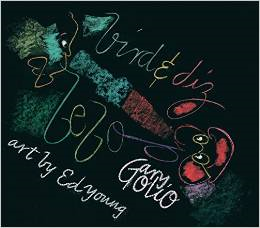 The contrasting colors of art work make it a stunning book with font that is clear and easy to read. This book can be used to meet the common core standards of literacy in the areas of poetry as well as discriminating between fact and fiction. The fact that the owls pick on Otto for being different can open a discussion between parents, teachers or librarians and children about how we treat one another. 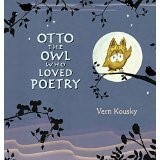 It is also an interesting twist to realize that the part of Otto that is different, his love of poetry, becomes understandable to all the other owls by the end of the book. It is a very good thing that Otto didn’t run away, but stayed long enough to share his poetry with the others. This beautifully well done book is Vern Kousky’s first, but hopefully not his last. Extras: The famous poem excerpts are included in the back of the book along with their citations.